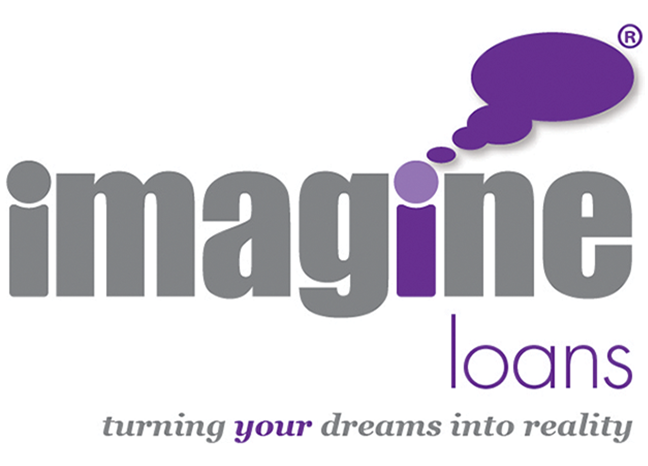 "You" (the Borrower) are applying to enter into a Credit Agreement with the "Lender" (the Company who is willing to lend you the money) the "We" (“Imagine Loans”) place your loan application with and in considering and administering any agreement you enter with the Lender, we will be using personal data about you. We may send you useful information about our and other businesses products and services, pass your details to other selective businesses and to anyone (if applicable) who introduced you to us. We may use your information to consider your application to enter an Agreement with us and we will search your records at Credit Reference Agencies. The record of our search will be recorded by the agency and will be seen on any future searches made. The Credit Reference Information may be linked to any person to whom you are linked financially (see 'associated records' below before you sign). We may use a credit scoring or automated decision making system. trace debtors, recover debts, prevent or detect money laundering and fraud, to manage your account/s. Please contact us at Compliance Section, Audley House, Northbridge Road, Berkhamsted, Hertfordshire, HP4 1EH if you want to receive details of the relevant credit reference or fraud prevention agencies. We, our lender and other organisations may access and use from other countries the information recorded by fraud prevention agencies. Where you have applied for or taken our payment protection insurance we will be required to process personal information about you and to provide this information to the insurers for the purposes of administering and handling any claims under the policy cover. PLEASE TELEPHONE 01442 899134 OR WRITE TO DATA PROTECTION, AUDLEY HOUSE, NORTHBRIDGE ROAD, BERKHAMSTED, HERTFORDSHIRE, HP4 1EH, IF YOU WANT TO HAVE DETAILS OF THE CREDIT REFERENCE AGENCIES TO WHOM THE LENDER OBTAINS AND PASSES INFORMATION ONTO ABOUT YOU. YOU HAVE A LEGAL RIGHT TO THESE DETAILS AND A COPY OF THE INFORMATION HELD. PLEASE NOTE A FEE MAY BE PAYABLE. Before entering into any agreement with you, we and/or the Lender may search your records at credit reference agencies which may be linked to records relating to your spouse/partner or other persons of whom you are financially linked and other members of your household. For the purpose of this application you may be treated as financially linked and will be assessed with reference to 'associated' records. Before any search or application is completed or any agreement is entered into involving joint parties you both consent to the Lender recording your details with credit reference agencies. As a result an association will be created which will link your financial records and your associates information may be taken into account when a future search is made by us or another company, unless you file a 'disassociation' at the credit reference agencies. Your details will be held on a computer and we may advise you by letter, telephone, email, recorded message or otherwise of other financial services offered by our group for an indefinite period. We may do so if you are presently registered, or register in the future, with the Telephone Preference Service (TPS) or Mail Preference Service (MPS), unless you inform us in writing. From time to time we, other associated companies, or carefully selected third parties, may wish to contact you with details of our other goodsand services or those of such other companies. You may be contacted in each case by post, fax, telephone, home visit, email, SMS or otherwise. We may monitor and/or record your telephone conversations with us to ensure standards of service, for staff training and to help prevent crime.